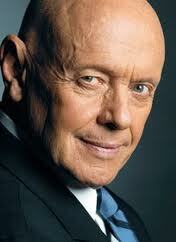 are 5 specific ways in which life will be better in a post Facebook IPO world. 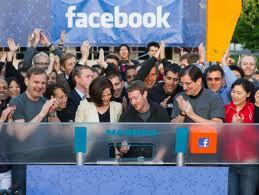 Facebook expects to raise $16 billion through its IPO, securing its title as the largest tech IPO in history. In the online world there is an air of excitement, speculation and questions. Most importantly – What does Facebook going public mean for your business? Ads are essential to Facebook’s revenue stream, which will have to show significant growth. Expect to see innovation in ads – new ad formats, better targeting and greater reach. Similar to Search Ads after Google’s IPO, Facebook Ads platform is in it’s infancy. Expect Facebook ads to show up outside of the Network and Mobile. With a greater focus on ads, it will become increasingly harder for posts by businesses to reach fan’s newsfeeds. Compelling and engaging posts are still valuable – however business owners will have to venture into buying ads to make sure they get visibility. The rise of Facebook created the Social Media Industry. With Facebook’s IPO – growth will breed opportunity and standardize best practices. 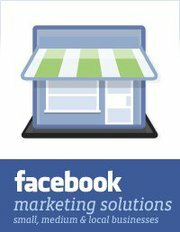 Business managers will have more tools and options to utilize Facebook effectively and invest more money. Facebook has to do something with all that money right? Expect more features that promote sharing and engagement as Facebook acquires tech companies such as Instagram. As cool features are added, you can look forward to more ad real estate and ability to streamline your social media efforts. There is a huge opportunity to integrate newly acquired apps into your marketing too. Do you feel like every time you login something has been added or removed? Facebook has certainly experimented to get it right. Now as a public company, they are less inclined to change products. That means managing your pages, ads and Apps will become easier. Do you archive your Facebook data? 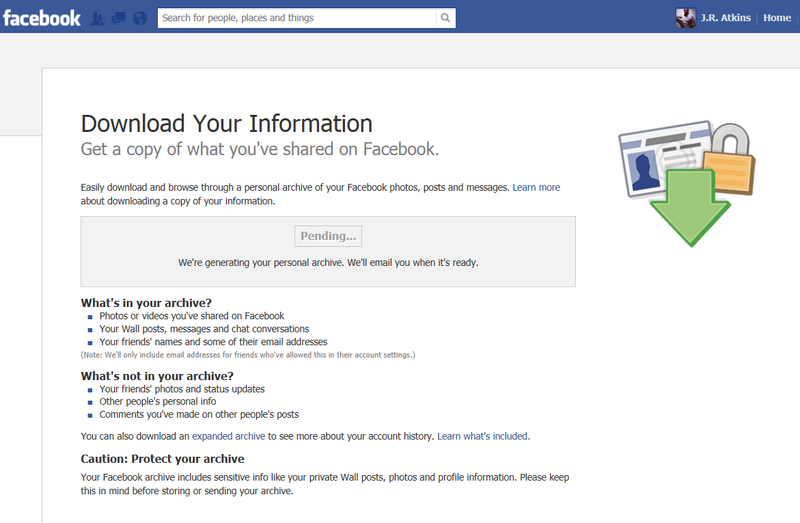 It will take a while for Facebook to create the Archive. They will send you an email to your primary email address on file with Facebook. When you receive that email, it will contain a link. Click on the link and save your Facebook data to your computer. You will probably want to do this on a regular basis depending on the amount and importance of your data. Good luck and let me know how it goes. We started with individual Facebook account, then came groups, then pages and now finally the recipe from Facebook for how to grow your business on Facebook. Their final suggestion is to learn more by accessing their Best Practices Guide and Success Stories. Remember, this is where you begin. Give yourself some time to get your desired results. Good luck and let me know what you think.